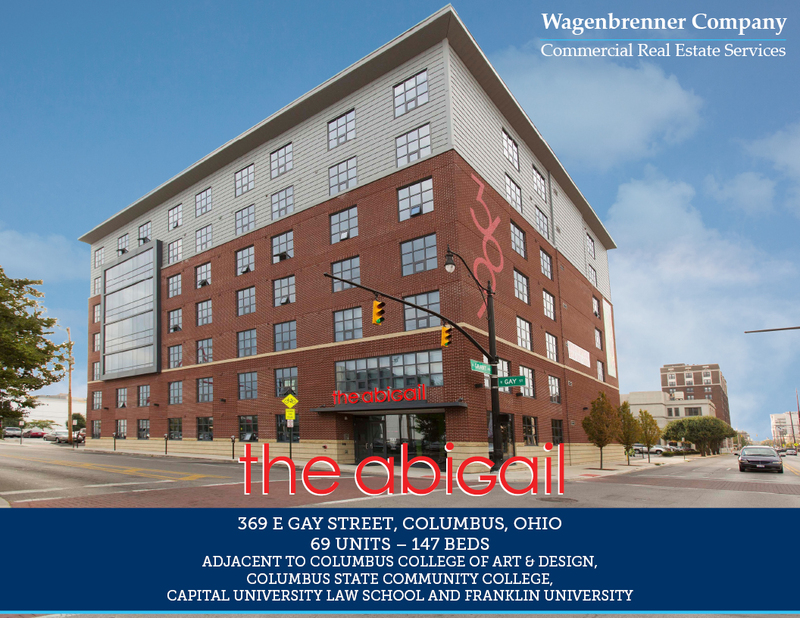 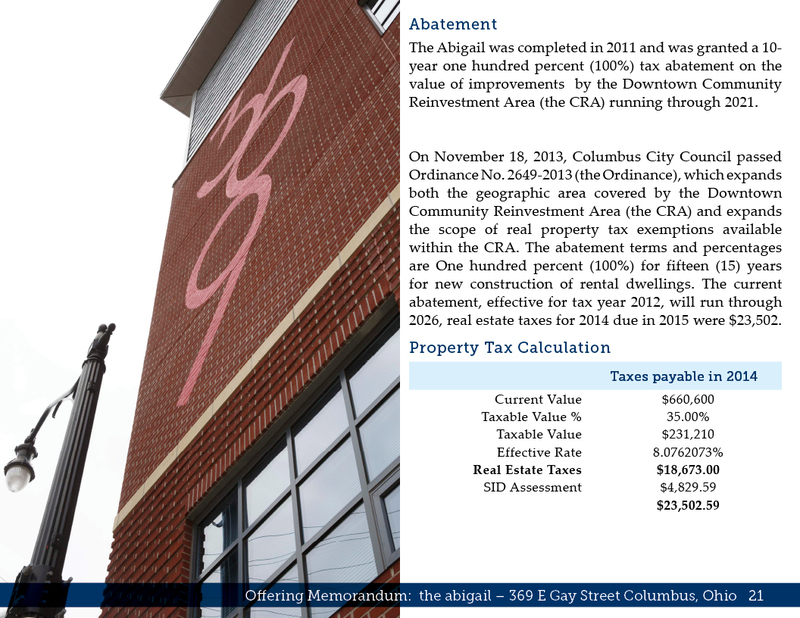 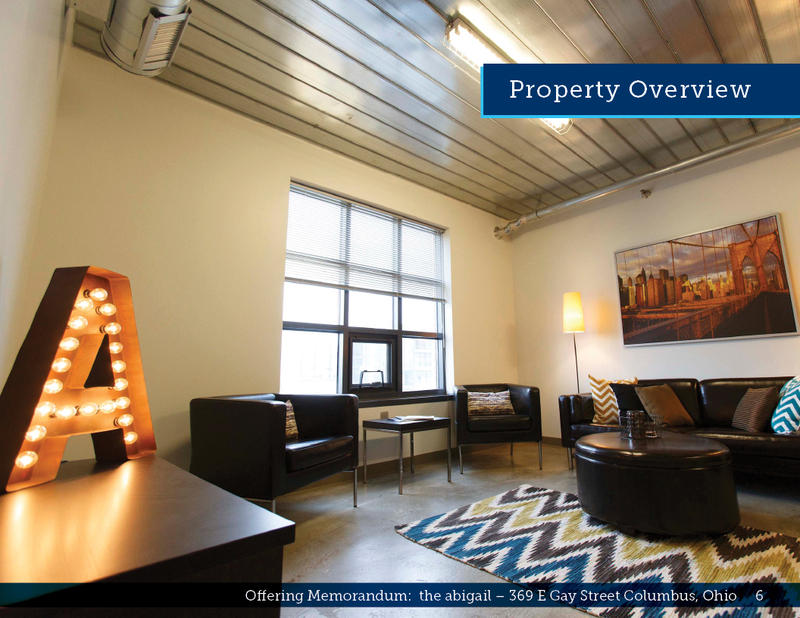 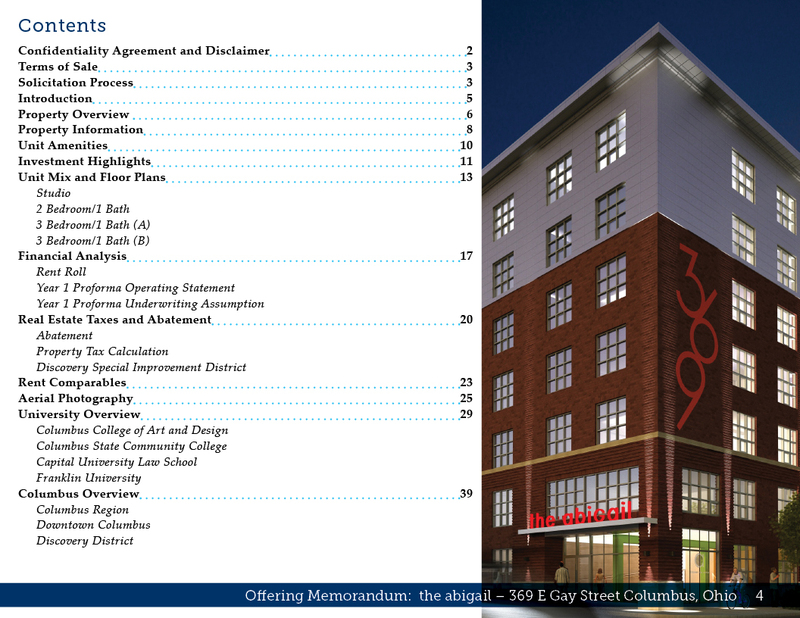 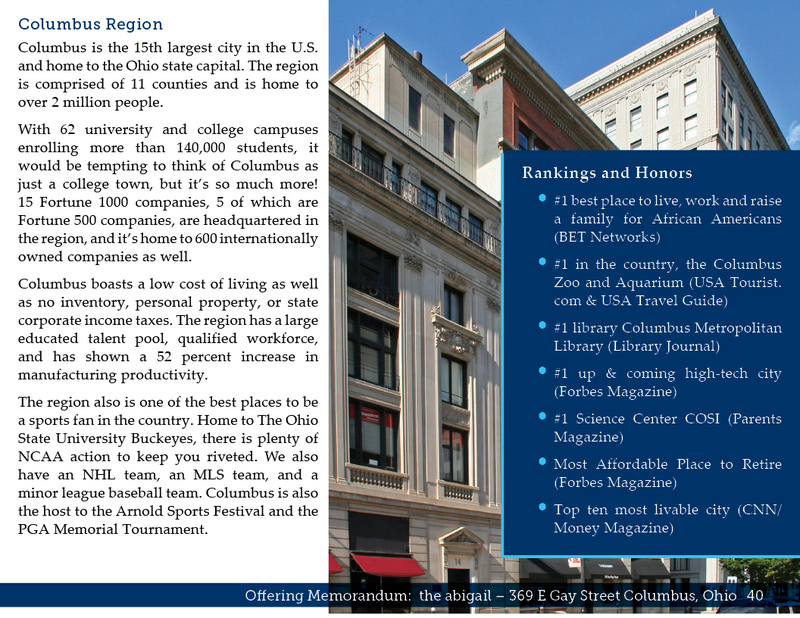 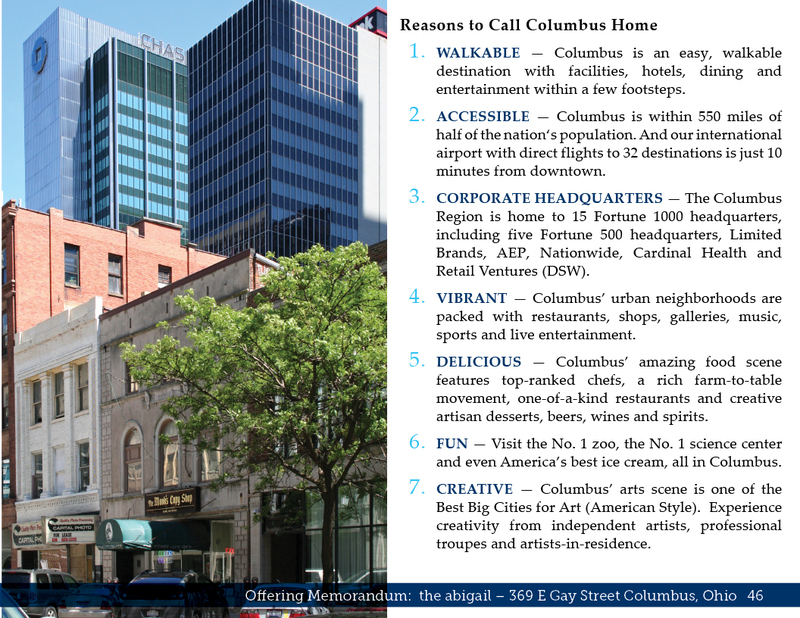 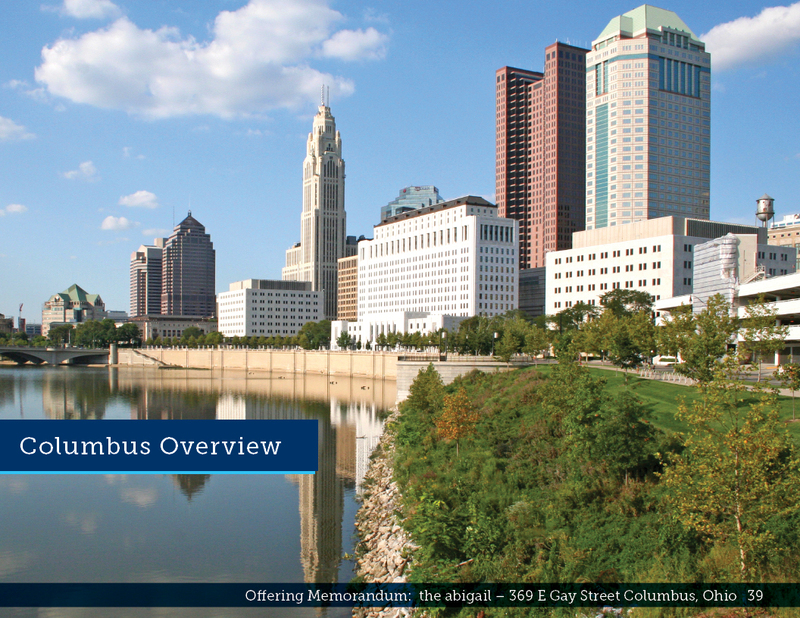 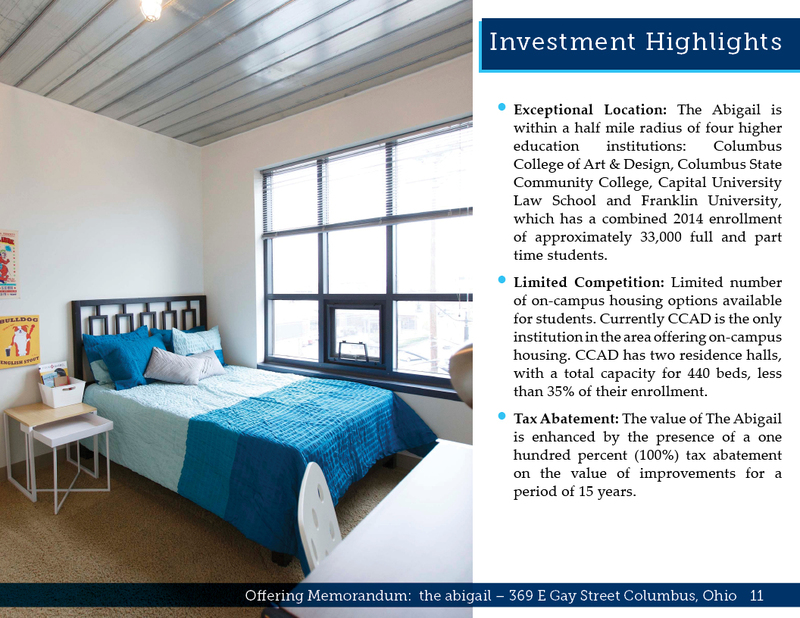 This digital brochure was designed for the commercial real estate listing of The Abigail, a large apartment building in downtown Columbus. 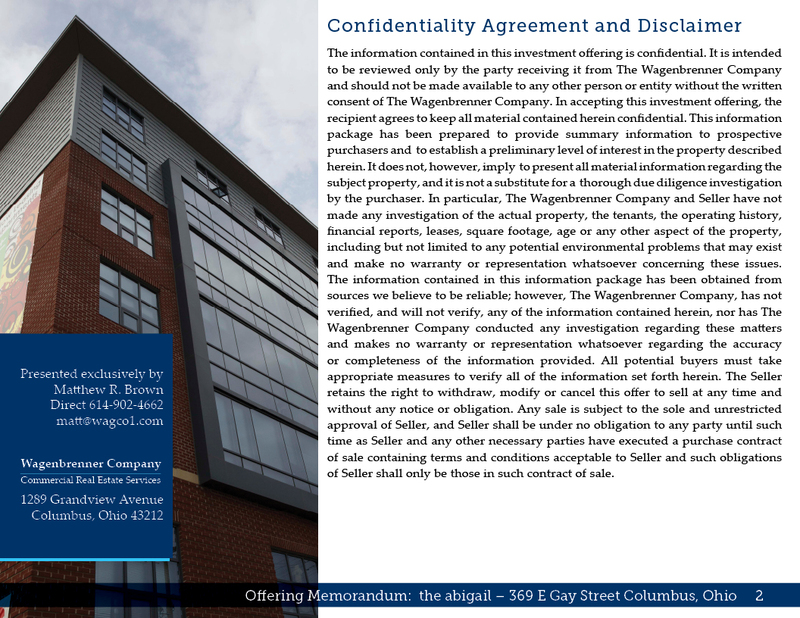 The document needed to fit with the other promotional materials I had designed for the agent, appeal visually to potential investors, provide detailed financial breakdowns, information about the building, profiles of nearby educational institutions, and an overview of the Columbus area for buyers who were not local. 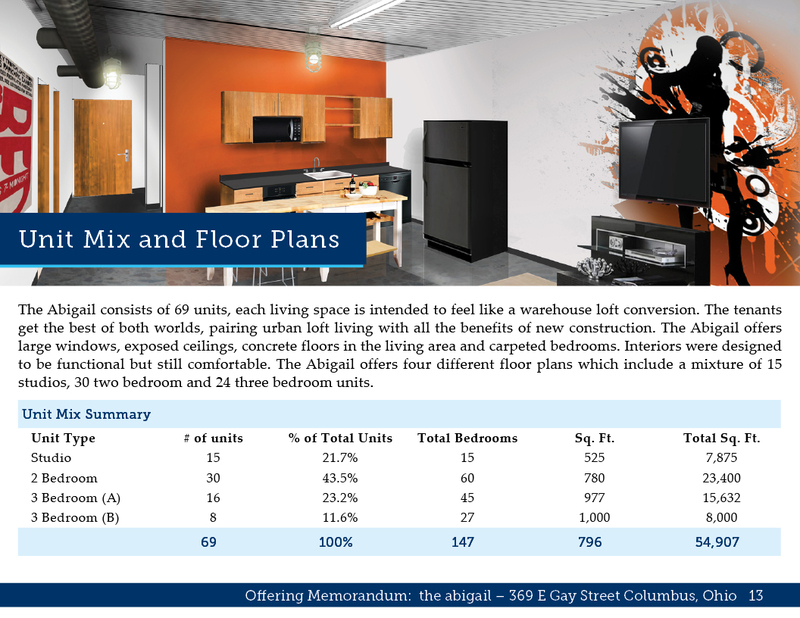 The resulting document successfully balanced the tables, text, photography, maps, aerial shots, and more to generate a substantial amount of interest resulting in a sale.